Big Brother Winner Is Engaged! Do you remember Dr. Will Kirby from Big Brother season 2… and then later on season 7 for all stars? 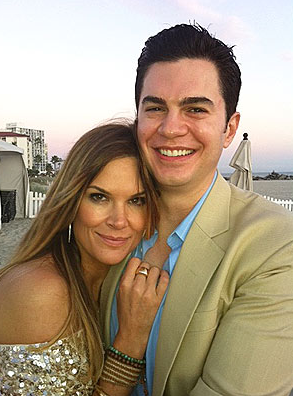 Well, he and his gorgeous girlfriend, Erin Brodie (For Love or Money) are getting married! They’ve been together forever. Well, it seems like forever… six years and they have a son together, Cash who is 15-months-old. Will popped the question on the beach, at sunset while they enjoyed her favorite seafood meal. She of course said yes and is now wearing a 9-carat rock set in platinum. Nice! Congrats to the gorgeous couple! We can’t wait for the big day.